Standing at the 5 bus stop on a beautiful Saturday, watching a bus go by that was completely full and waiting another 20 minutes for the next full bus made us think of car sharing, specifically sharing a taxi. Why share? To be green and save money, that is why we were taking the bus in the first place. Is there an app for taxi sharing? Besides the hurdles of technology and funding, innovative infrastructure faces another obstacle, the fear of the new and unknown, the man who scoffs “text messaging is not a valid form of communication” as he bitterly googles “the way thing used to be” on his iPad Touch. How do we configure our systems for success in our imperfect cities as well as break the mental barriers formed by resistance to change. 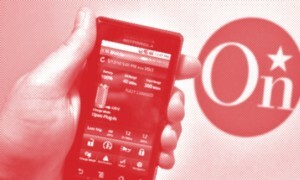 The Heathrow Airport ULTra transit system is a recent example of medium scale infrastructure with an integral ubiquitous computing system made accessible to any individual regardless of ability or desire to utilize emergent technology. The system superficially appears to be a standard linear rail system with single personal cars that miraculously anticipate your arrival. If we look past the transit interface’s surface, deep into the mechanics of the system itself, It becomes apparent that only the veneer is familiar. 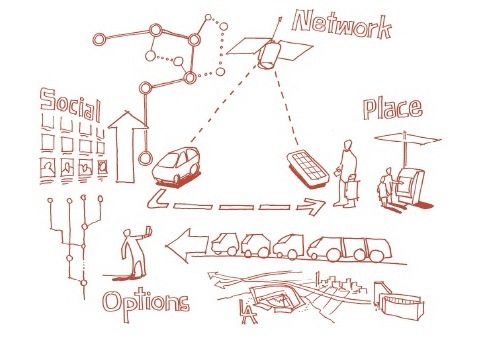 The cars work in a non-linear distributed network that optimizes the achievement of an individual’s transit goals through digital processes. Infrastructure designed like the ULTra Sustainable Personal Transit and the Los Angeles REDcar make cutting edge technology accessible to the masses by packaging the interface into familiar terms for the user. ULTra Sustainable Personal Transit referred to me by Therese Tierney, REDcar Team Member and Colloquium Speaker. REDCAR is no longer a referent to the automobile or a simple transportation mechanism; to us it has become a ‘call sign’ for action to change the condition of our cities, neighborhoods, streets and public space that has so far been shaped to fit the automobile. Through changes in the construct of the automobile that reduces mechanical linkages in favor of connectivity through integrated electronics and network intelligence; the evolution of the automobile can finally dissolve in form, and its interface become transparent . In essence, the automobile becomes an altered mechanism for an expanded element of shared public space. REDCAR is the reconstruction of physically linked places, people, and interaction in the new ‘mobile public space’. Mitchell, W. J., Borroni-Bird, C., & Burns, L. D. (2010). 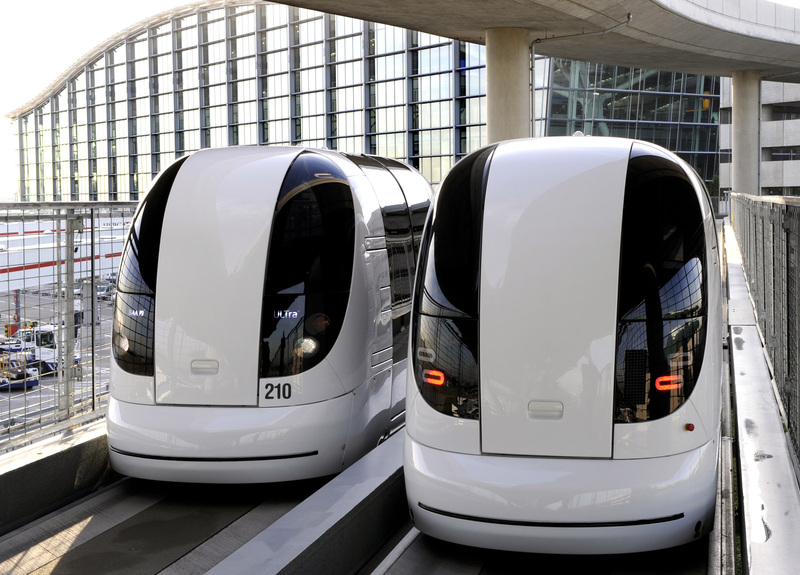 Reinventing the automobile: personal urban mobility for the 21st century. Cambridge, MA: MIT Press. After reading an article in The Washington Post the other day about the upcoming integration of a facebook application into GM’s in-vehicle OnStar systems, I couldn’t help but make the comparison to proposed REDCAR features. Facebook has the potential for organizing groups of people through their interests and preferences, event calendars, places and memories, daily routines and current status updates, but it misses out on that final step: direct connection. Because of this, there lingers a perception of this social networking site as more of a toy than a tool. While some of the more ingrained users employ these features to the extent of sending official invites, messaging rather than emailing, or adopting its calendar features as their primary means of scheduling, a large portion of its user-generated content tends to be whimsical. 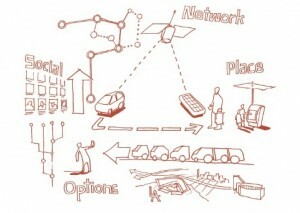 But pairing Facebook’s technology to create remote connections with REDCAR’s ability to create physical adjacencies can have much greater potential toward collaboration, resulting in time and financial efficiencies, increase in personal interactions, sustainability, and the general organization of our cities and the groupings of people that operate within them. “Cloud computing is a general term for anything that involves delivering hosted services over the Internet. These services are broadly divided into three categories: Infrastructure-as-a-Service (IaaS), Platform-as-a-Service (PaaS) and Software-as-a-Service (SaaS). 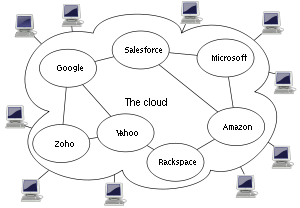 The name cloud computing was inspired by the cloud symbol that’s often used to represent the Internet in flowcharts and diagrams. What if we were to look at our means of personal transport within a metropolitan area in a similar way to how we are beginning to deal with our personal computing and access to the digital realm? 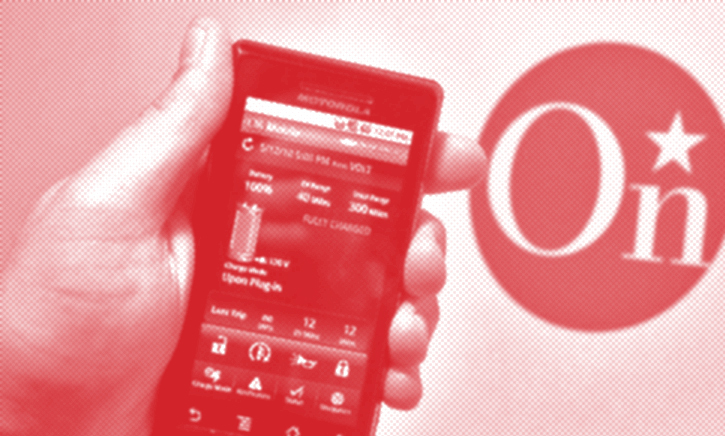 Just as we have “cloud computing” shouldn’t we begin to look at “cloud mobility”? What do we mean by that? More and more we are surrendering the storage and access to very personal information (financial, health, family & social preference) to servers over which we have little or no personal control. Where once we were satisfied to keep our personal records in a file cabinet at home (or as often as not in a cardboard box), we gradually shifted to storing that information on our own personal computer, until now many are comfortable in having this information stored on a remotely located server to which we have access through portable wireless devices. Many of us have surrendered the need to physically hold onto our most personal information, to a situation where we are comfortable with having such information stored elsewhere (we don’t know and for the most part don’t care where) so long as we know (or hope) that it is securely held and is available, in digital form through the use of portable wireless devices, for our own use at any time of our choosing. If we are willing to surrender the need to have such personal information close by in a physical form, is it not unreasonable that we could just as easily surrender the need to have our private “mobility device” (i.e. our car, along with its related maintenance, registration and insurance costs) if we know that we can have access to such a “mobility device” (perhaps a Redcar) through the use of a portable wireless device, for our own (or shared) use at any time of our choosing? What if we think of such a system as being analogous to the cloud computing described above? 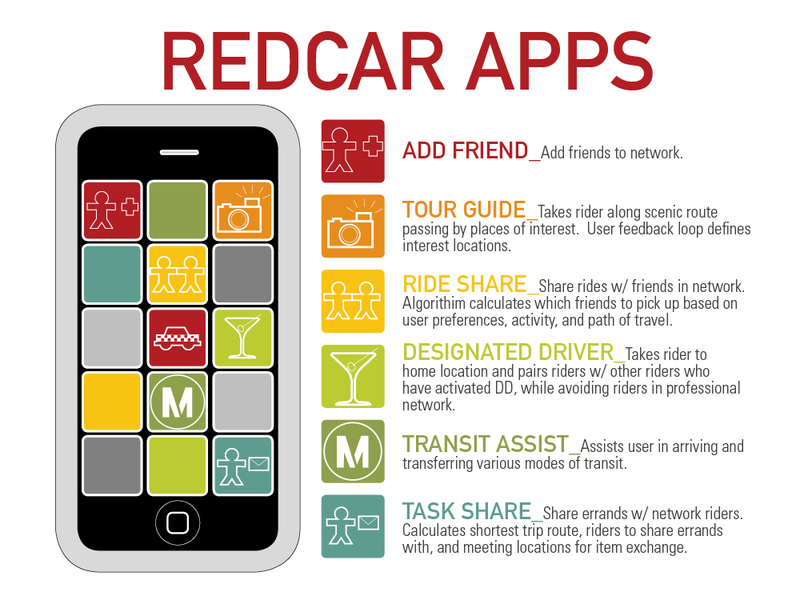 The “Redcar” system, perhaps “organized as a public utility”, would have the “Infrastructure-as-a-Service” (AHS, Autonomous Vehicle Guidance etc. ), the “Platform-as-a-Service” (the non-fossil fuel Redcar type vehicle or an adapted symbiote) and the “Software-as-a-Service” (the Redcar apps). A model for our system exists, the hardware and software exists, the technology exists and with society’s willingness to surrender the need for “hard copies” of personal material (and by extension the privately owned car) surely we are at a point where we can start connecting the dots to create a ubiquitous, accessible and sustainable mobility system that can adapt the existing hard infrastructure that society has already spent time and treasure in creating. I understand the appeal of coming up with a system that can cope with the highly dispersed polycentric pattern we have inherited in many US cities, notably LA. 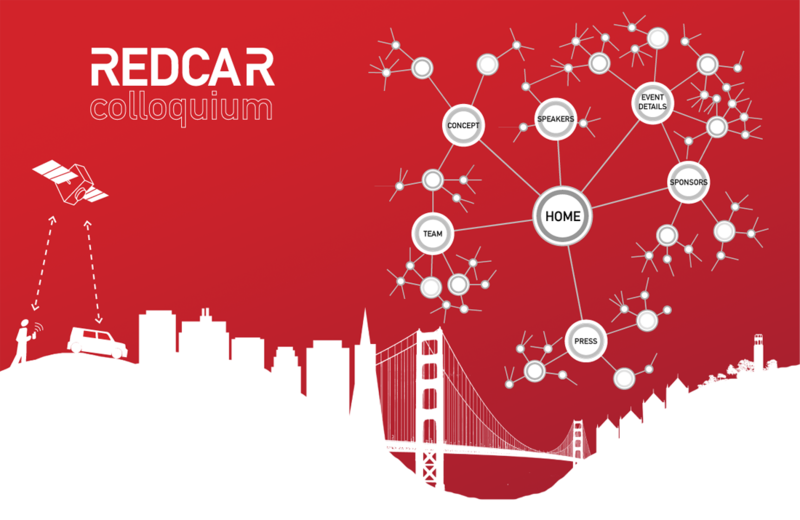 The REDCAR concept proposes to address this reality with a distributed transportation system, utilizing existing infrastructure (highways and roads) and emerging P2P communications. 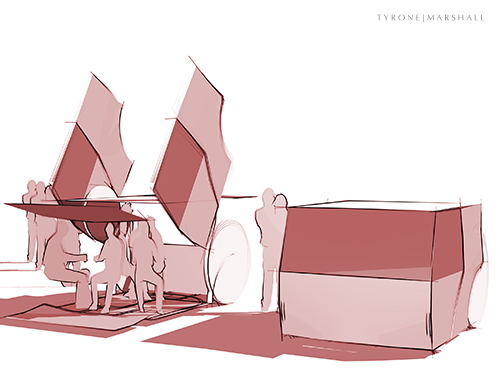 Question: What are the design implications for the built & social environments? In other words what will be the potential impact of such a ubiquitous, distributed and autonomous system on urban planning / architecture and the public realm? If we believe that the goal (and urgent need) is not just to facilitate mobility in more efficient vehicles so as to reduce some of the more toxic social and environmental impacts of auto dependency, but to actually create a fabric of denser urban places that are inherently more sustainable, foster walking, overlaps and connectivity that allows people to do multiple things in one place, create economic synergies etc. then the question is does REDCAR do that? The REDCAR hypothesis seems to be that consolidated “development will naturally emerge (as a self-organizing system) from the urban fabric” “in response to social activity hotspots triggered by both physical space (Redcar vehicle / transit-mode transfer) and social swings – the overlay of efficient route-processing software upon the physical realm will cause serendipitous social and transit “hot-spots” to emerge thus creating an organic evolution of true TODs”. Question: Does this really work? And how and why would these organic TODs or emergent nodes ‘naturally’ form? Absent any physical, policy controls, economic or operational constraints or fixed attraction points what would cause the urban fabric to congeal at these points and not just continue to atomize and disperse along the roadway network? Don’t we need some additional tools to produce the “emergent nodes”? Are we over-relying on technology? Short of relying only on expensive fixed rail solutions, are there not already low-tech versions of flexible vehicle sharing in the developing world, for example, that we could learn from such as “collectivos, guaguas, or jitneys”? I clearly don’t have the answers, but these are the questions that the REDCAR proposal raises for me. I look forward to the discussion at the Colloquium. Question: I am struggling to understand in simple terms what the “redcar” concept is, how it would work and how it differs from what we currently have. Would people still own their own vehicles? Or is it like a bike share system. What about storage? Who is driving? All very basic questions. Is there a relatively simple explanation somewhere that you could share? • The intent is that people would not own their own car but would have ready access to a vehicle (individually or shared) similar to Zipcar “car-share” program with the fee / user cost being based upon a shared (cheapest) option through to an individual (most expensive) option. However we don’t prohibit individuals from potentially using their cars but they would be hit with the highest premium use charge. 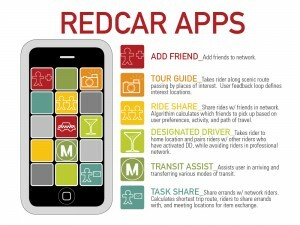 • The intent is that the “redcars” would, during the day and evening anyway, be constantly in use through sharing. However realizing that there would be peak hour demands greater than the average day or evening demand some storage location (“car barn” if you will) will be required but that can be remotely located as cars would be travelling on the road on an “on-demand” basis only. Also, with a redesigned urban vehicle the space required for car parking would be significantly reduced from the current 110 sf minimum footprint of a typical car. • The vehicles would be self-driving, in that they could use the autonomous vehicle guidance system currently under development by the Volkswagen Group in conjunction with Stanford CARS program (Sven Beiker of Stanfords CARS may talk to that point), or if they’re on the freeway they could use the Automated Highway System demonstrated by UCB’s PATH program down on I-15 in San Diego (Jim Misener of UCB’s PATH may talk to that) and they would be self-aware and spatially interconnected similar to the work done by both VW and GM (se Chris Borroni-Bird’s work on this). • Per issues of culture, safety, economics and practicality – the answers may be a bit more nuanced and create very interesting discussion. Our interests ultimately lie in achieving: 1) more people in fewer cars that 2) move in a more efficient manner 3) take up less space in the urban realm (either parked or in motion.) The issue of whether the cars are driverless and whether private ownership is permitted are ones that we initially discussed at length. In the end, we are found that there is rational for maintaining both and, especially considering the immediate implementation of this concept, there would have to be exceptions. For example, even if the car is driverless, there may be a need to have a “driver” – just to ease the social/cultural and safety concerns. • The second scheduled session – “the overlay” – will deal with issues which have been less explored than the first phase of our investigation. These issues &amp;impacst include the impacts to the urban realm and opportunities of freed space (by consolidation of vehicles, “road diet” etc.) and the new nodes that emerge from shared social interests. New conversations including the changes to regulatory structure and lending patterns to promote these nodes have recently surfaced and trigger various outcomes. I believe herein lies the types of discussions that will be most interesting as part of the colloquium. It’s taken a lot of work to get this point, so thanks to everyone who helped out making the site and organizing the conference.